Just this month, a new bill supporting Farm to School programming was introduced in Congress: the Farm to School Act of 2015! This bill will be a part of the reauthorization of the Healthy, Hunger Free Kids Act of 2010 – the original legislation that created a mandate to fund Farm to School programs. For the past five years, $5 million a year has been given to school districts and other groups working to increase local food access and student health and wellness. However, demand for the program is more than five times higher than available funding. 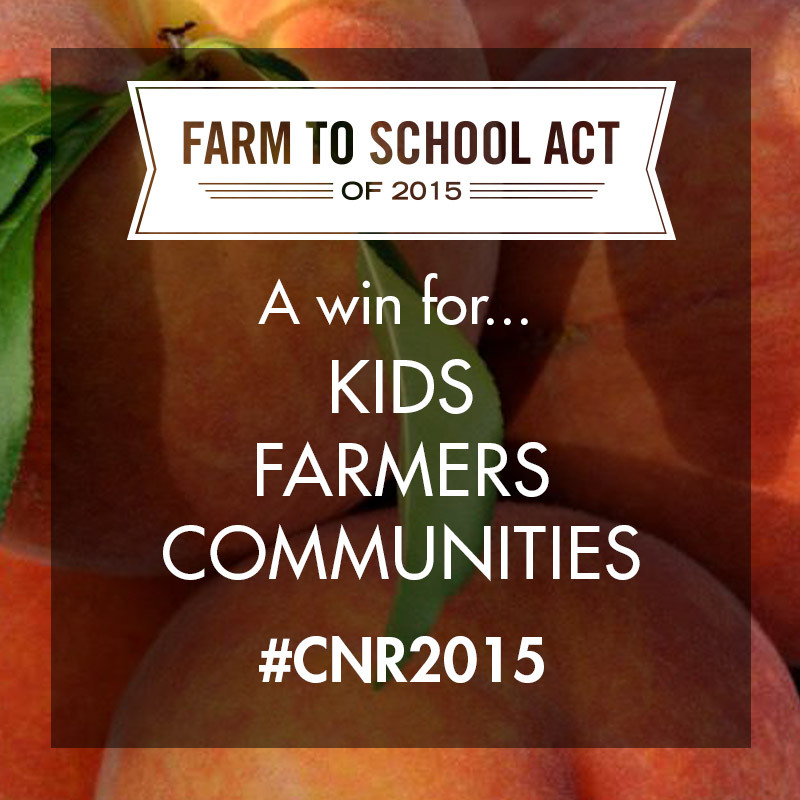 The Farm to School Act of 2015 would increase that amount to $15 million! How does this impact us in Illinois? Last year, only $25,000 of the USDA’s Farm to School grant fund (that $5 million) was given to Illinois programs. Imagine how much more work could be done in schools and communities if that amount increased alongside the general fund. The USDA Farm to School Grant Program increases the use of and improves access to local foods in schools – thus boosting farm income and economic opportunities – while also fostering experiential food education for our nation’s children. Here in Illinois, we could increase the number of school gardens and get children cooking and eating foods that they grow. We could increase capacity in school districts who want to procure local foods. There is so much possibility and the Farm to School Act of 2015 is the best way to make it happen. What can you do? 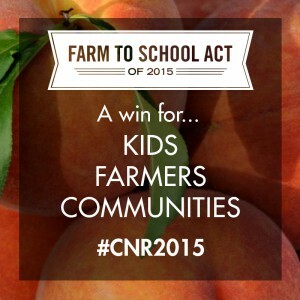 Add your name to the National Farm to School Network’s sign-on letter. You can show support as a citizen or organization. Also, look out for action alerts from the Illinois Farm to School Network and partners such as the Illinois Stewardship Alliance for specific calls to action. Our support will show our legislators that these programs are important need more funding.